Kayla Renee Struck of Highland Lakes, NJ, passed away on March 21, 2019 surrounded by her loving family. She was 23 years old. Kayla was born in Wayne, NJ to parents Jeffrey and Dorianne (Van Hoff) Struck on August 2, 1995. She is survived by her mother, Dorianne Struck of Highland Lakes; father, Jeffrey Struck and wife Lori of Highland Lakes; brothers, Scott Struck and wife Amy of Vernon and Jonathan Struck and wife Sara of Highland Lakes; nephew, Kai Wesley Struck; maternal grandparents, Richard and Ruth Van Hoff of Warwick, NY; uncles, Bill Van Hoff of North Haledon, NJ, and Jason Van Hoff and wife Lisa of Hawthorne, NJ; cousins, Connor, Elli, Noah and Elijah; paternal grandmother, Margaret Struck of Lincoln Park; uncle, Russell Struck; and aunt, Laura Struck. A memorial service was held on Saturday, March 30 at Lazear-Smith & Vander Plaat Memorial Home,17 Oakland Avenue, Warwick, NY. Burial was in Glenwood Cemetery. 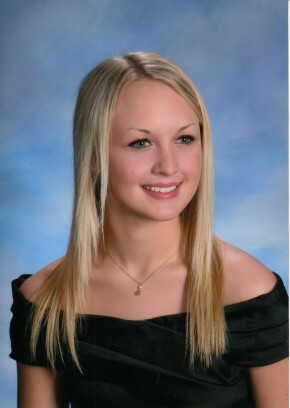 At the time of funeral service we commemorate and reflect on the life of Kayla Renee Struck. In the days, weeks and months ahead it will be a comfort to family of Kayla Renee Struck to continue to remember a life well lived. Please select a date on the Calendar of Care to be reminded via email to reach out and continue the caring for family of Kayla Renee.